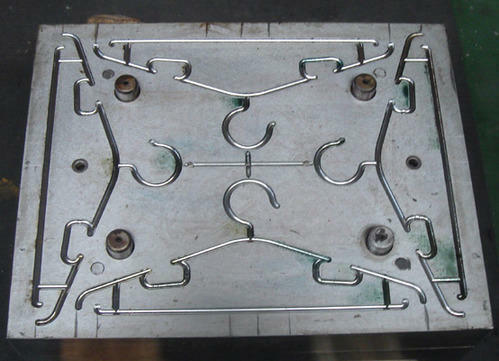 Our range of Plastic Hanger Mould is widely appreciated by our clients which are situated all round the nation. ... These Plastic Hangers are offered in variety of designs, shapes, sizes and colours. With an industry experience of more than one decade, we are engaged in manufacturing, exporting and supplying our wide range of Industrial Products. Our range of industrial products include Guide & Rubber Rollers, Telecommunication Equipments, Solar & Wind Power Products, Wrought Iron Gate, Tractor Parts, Two Wheeler Parts, Tubular Components, Plastic Components and many more items. These products are designed and developed under the able guidance of experienced professionals by using fine quality raw materials and advanced technology. Our customers based across the national and international market widely acclaim these products for their premium tensile strength, durability and optimum performance. We have a well equipped manufacturing unit that is installed with advanced machines and required amenities. These installed machines are properly used and handled to design and develop our range of Industrial Products. Our offered products are checked and tested at our own quality control department to make sure about the performance and efficiency. With the help of our dedicated work force we are also able to cater to the diverse requirements of our customers.